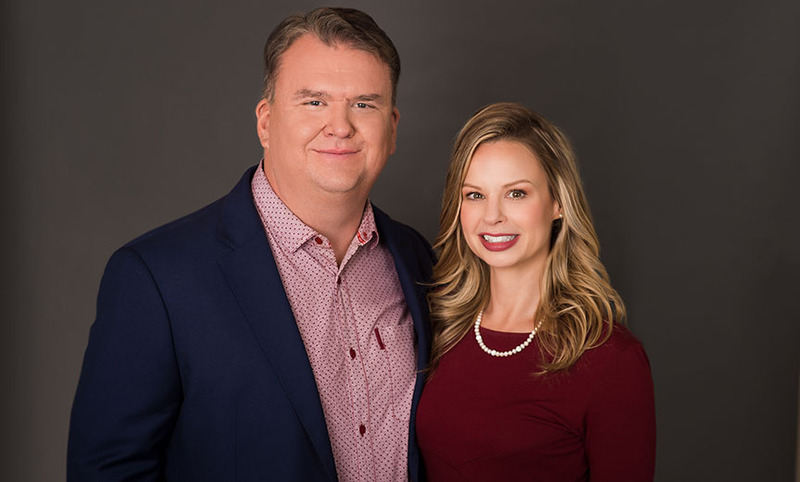 As University of Tulsa alumni, John and Crystal Lister are exploring the exciting career possibilities that a degree from the TU Tandy School of Computer Science provides. The husband and wife are members of the senior leadership team at Global Professional Services Group (GPSG) in Reston, Virginia. Although GPSG is primarily a recruiting company, John and Crystal implement their cyber capabilities to grow the enterprise and flex their cyber muscles in the digital security sector. They trace the expertise and skillset required to accomplish such a task back to Tulsa and their experience with cybersecurity projects at TU. Learn more about a graduate degree in cybersecurity or computer science at TU. The Listers first met while taking courses at Tulsa Community College and later married as undergraduate students at the University of Oklahoma. John was recruited to the TU Cyber Corps program, turning down a job in Australia, to begin his master’s degree. Crystal’s background in business and finance initially led her to a job at Boeing Co., where she also became interested in Cyber Corps. “I started reflecting on how I could give back to my country — I was in the eighth grade at the time of the 1995 Oklahoma City Murrah Building bombing, and I was an undergrad during 9/11,” Crystal said. Both Crystal and John taught computer classes at Moore Norman Technology Center to support themselves as undergraduates at OU. Their patriotism combined with a natural passion for understanding the intersection of the human element and technology led them to TU. They completed master of science degrees in computer science and fulfilled the Cyber Corps professional segment with federal service. “It was a fantastic opportunity to use the brand-new skills TU had just developed to help the government safeguard assets for the American people and to strengthen operations to better defend the country,” John said about his federal service as a cyber officer. For more than 10 years, Crystal also served in cyber threats and counterintelligence, informing senior policymakers about technical risks to infrastructure and operations. The couple leverages their computer science and business backgrounds in the private sector today. John, vice president of cyber capabilities, and Crystal, senior director, insider and cyber threats, are instrumental in helping GPSG clients understand cybersecurity vulnerabilities and develop custom security programs. “We’ll help a company transition to the Cloud or find encryption or data protection solutions to protect them against nonstate hackers and more stealthy, persistent adversaries,” John said. Crystal oversees GPSG’s internal insider threat risk management program and engages with executive clients on cybersecurity consulting, developing methodologies to help clients move securely to Cloud solutions, protect data and set up insider risk programs. Her team has created an interactive scenarios training curriculum on prevention, detection and response of insider threats for clients. John said their student experience in Cyber Corps involved incredibly unique partnerships with public service organizations such as the Tulsa Police Department and federal units. They contributed to solving criminal cases, analyzing cell phone forensics and other critical operations. Those hands-on components laid the groundwork for successful ventures later in their careers. “The opportunities we had here at TU to collaborate with the technical community helped us become leaders in the cyber industry,” he said.